Coral reefs wouldn't be the same without their beautiful fish. A diversity of colorful, beautifully patterned species lives in tandem with coral reefs around the world, having adapted their appearance, body structure and lifestyle to take refuge in the folds of spiny, spongy, slippery reefs. "Part of the reason coral reefs work is because animals play a big role in moving nutrients around," said lead author Jacob Allgeier, a postdoctoral researcher at the University of Washington's School of Aquatic and Fishery Sciences. Paper co-authors Abel Valdivia at the Center for Biological Diversity in San Francisco and Courtney Cox at Smithsonian Marine Station at Fort Pierce, Florida, surveyed 143 fish species at 110 sites across 43 Caribbean coral reefs that varied in the amount of fishing pressure sustained -- ranging from marine preserves that banned all fishing to heavily fished reefs where large predator fish are almost gone. "This study is useful to understand alternative ways fishing is affecting coral reef ecosystems," Allgeier said. The researchers determined that, despite the substantial reduction in fish-mediated nutrients, fishing didn't substantially reduce the number of fish species present. Instead, the large reductions in fish pee were driven by the reduction of large-bodied fish and predator fish such as grouper, snapper or barracuda that occurs through selective fishing practices. "Simply stated, fish biomass in coral reefs is being reduced by fishing pressure. If biomass is shrinking, there are fewer fish to pee," Allgeier said. Phosphorus in fish pee and nitrogen excreted through their gills are important nutrients for coral reefs to grow. In many reef communities, fish will take shelter in and around coral during the day -- peeing out valuable nutrients -- then forage for prey in and around the reef by night. A Science paper in the 1980s showed that coral reefs where fish were present grew at more than double the speed of reefs where fish were absent. It was this study, undertaken by now emeritus research professor Judith Meyer at the University of Georgia, that inspired Allgeier to figure out why fish help coral reefs grow. Coral reefs are the very definition of a delicate ecosystem. They are highly productive in terms of the biodiversity they support, but there aren't a lot of nutrients to spare. Reefs operate on what scientists call a "tight" nutrient cycle, meaning there must be an efficient transfer of nutrients for coral to grow. This cycle is largely controlled by fish, which hold nutrients in their tissue and then excrete them through their gills and urine. Allgeier spent four years measuring the amount of nutrients in fish pee and fish tissue to eventually build a massive dataset that tracks fish size and nutrient output and the amount they store in their tissue. 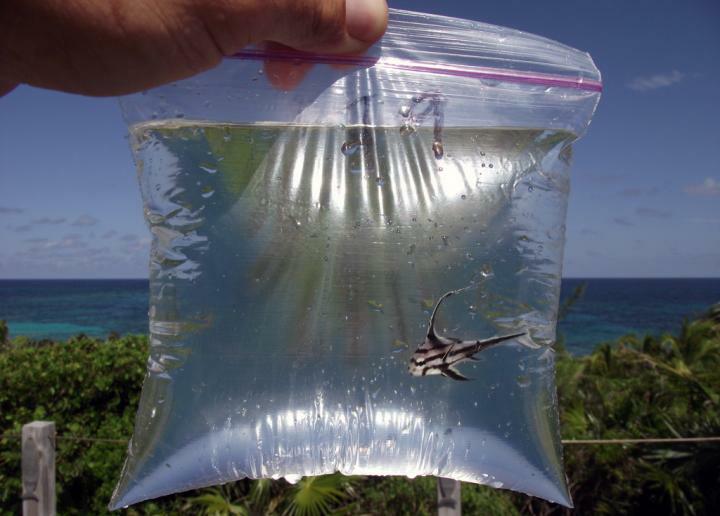 As a graduate student, Allgeier's kitchen on Abaco Island in the Bahamas became his lab, and he caught hundreds of live fish, put them in plastic bags for half an hour, then measured the nutrients in the water before and after. He found that nitrogen output varied consistently with body size among all fish, and that carnivorous fish would pee more phosphorus than smaller herbivores. Now, with these data serving as the basis for their models, Allgeier and collaborators can estimate the total amount of nutrient output from fish by knowing the species and body size of fish in a coral reef community. 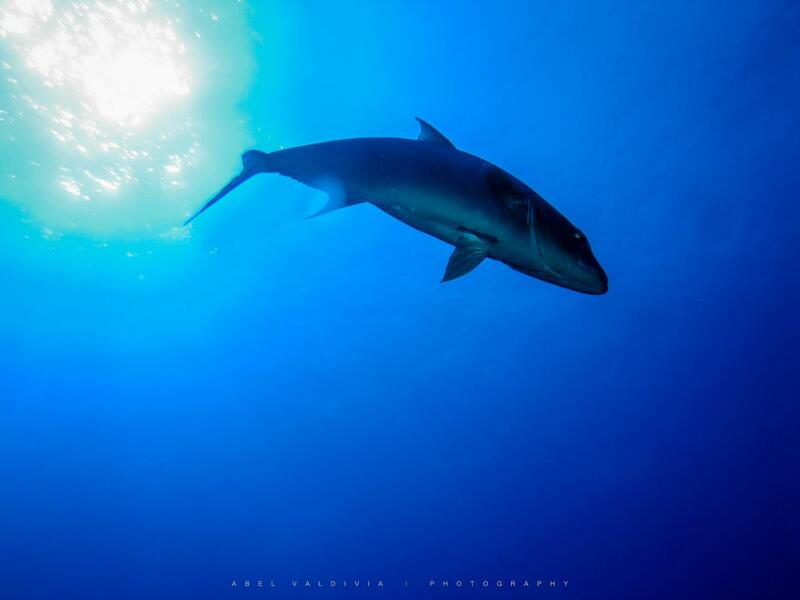 "It's remarkable how robust the models are just from knowing fish size and species," he added. 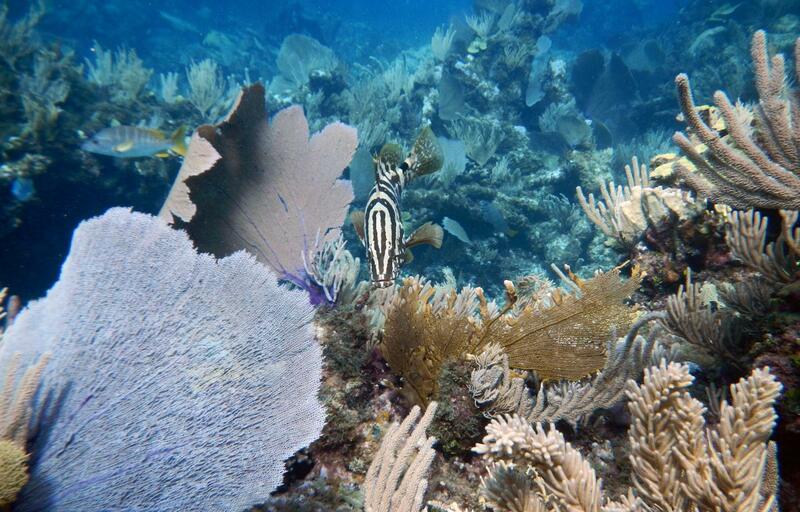 Coral reefs continue to decline in the Caribbean and worldwide, but curbing fishing practices that target large predator fish could help reefs recover, Allgeier said. The researchers expect this relationship between fish and coral exists in other reefs around the world. Allgeier is currently working with researchers at the University of California, Santa Barbara, to collect data next on fish pee in tropical Pacific Ocean reefs, essentially building upon the data collection Allgeier did as a graduate student.